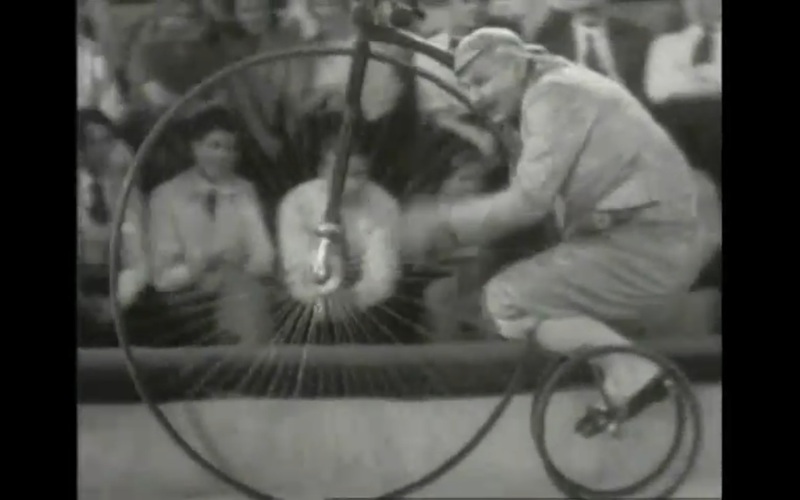 In Circus, the main character Marion Dixon slowly comes to accept the Stalinist ideology and sees that the Soviet Union is an accepting, inclusive nation. Through out the film, Dixon’s “protector and tormentor us the German ringmaster Franz von Kneischutz” (Stites, 89) who continually keeps Dixon in a subordinate position by threatening to expose the fact that she has a black child. This is a threat for Dixon as when it was exposed that she had a black child, it lead to “scandal” in the United States which is why she left the US and went to work in the USSR. With this threat always in the back of Dixon’s mind, she meets and enters in a romantic relationship with Ivan Petrovich Martynov, who is in a sense the embodiment of the “perfect Stalinist character”. Martynov, a caring decent character, throughout the film attempts to help Dixon “understand” the USSR and what it stands for, which is in a sense is the representation of the role of Stalin as the extreme “Vanguard” of the continuation and protection of the revolution. He is a joyful person that represents the “laughter” of Stalinist culture: life is to be enjoyed and we should “laugh more”. Although he does not necessarily go around laughing at everything, his attitude towards the situations he finds himself in are certainly in line with this Stalinist idea. Von Kneischutz becomes jealous by this move of Dixon, and it’s portrayed as a personal jealousy which is analogous of an ideological jealousy. His character represents fascist Germany which was ideologically the very opposite of Stalinist USSR by being very intolerant, which is represented in von Kneischutz’s desire to keep Dixon blackmailed through the threat of exposing her black child. This conflict comes to its climax at the end where von Kneischutz actually does expose Dixon’s black child to the crowd at the circus. He expects the crowd to reject Dixon and see her having a black child as something to be embarrassed and ashamed about, when to von Kneischutz’s surprise: the crowd does not see it as a problem. When von Kneischutz is shocked to discover the crowd is accepting of the child, someone even approaches him and says (to paraphrase) “what are we supposed to do, cry?” This is in line with the “joyfulness” of Stalinist ideology. Citizens were expected to laugh during the Stalin era, and this situation is a perfect example of them approaching a situation with laughter. The crowd then breaks into a lullaby sung by the different national languages that make up the USSR to demonstrate further the tolerance of Stalinist USSR. 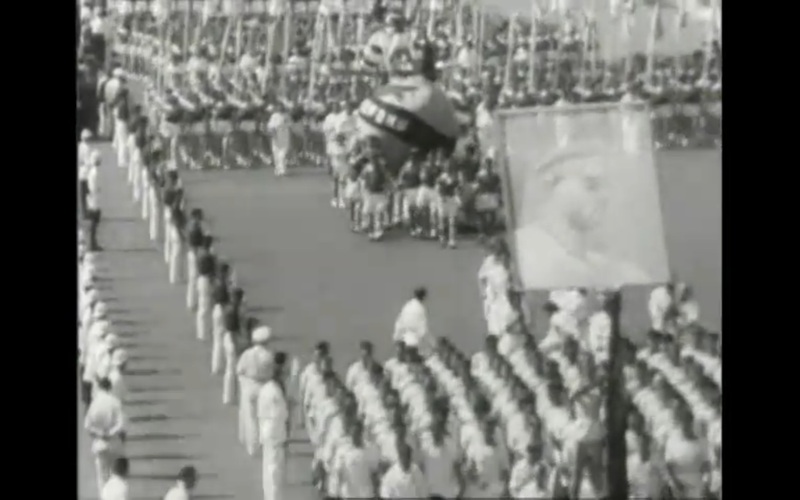 The film ends with the May Day parade where Dixon is marching along with the masses and finally expresses that she understands Stalinist USSR.